as part of its Genocide Awareness Week “Examining Genocide and Violence Through a Peacebuildng Lens.” Organized and facilitated by David J. Smith, the seminar brought together educators from local middle schools, high schools, and community colleges. 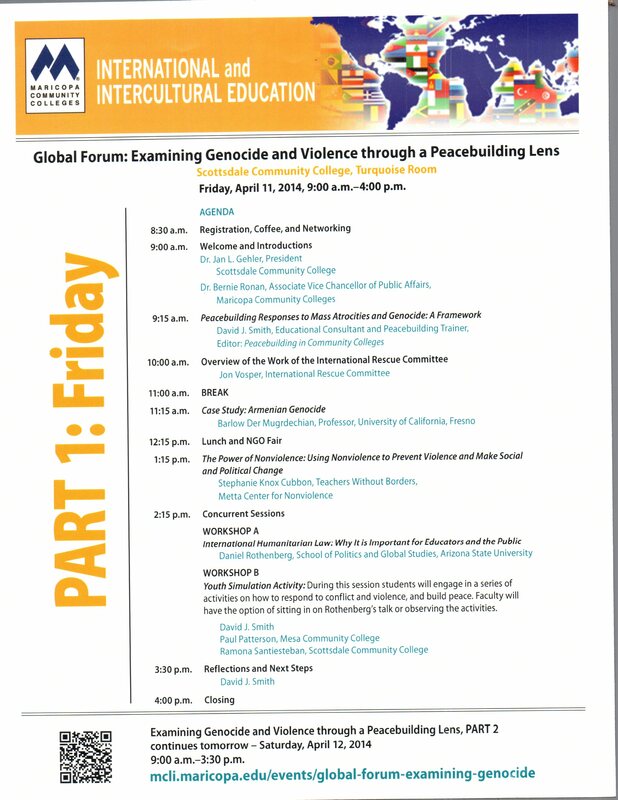 In addition, students and organizations interested in genocide and peacebuilding education also attended. During the 2 days over 150 individuals participated. 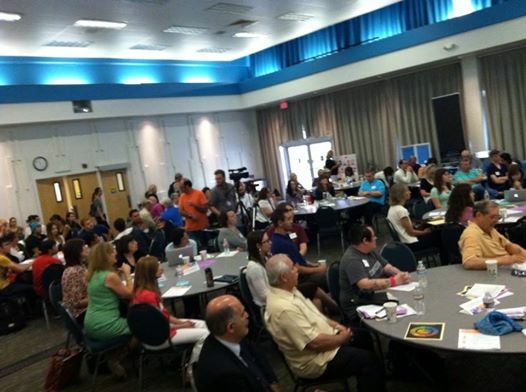 The program featured presentations and workshops from a range of organizations including International Rescue Committee, Metta Center for Nonviolence, Teachers Without Borders, and the Stanford Human Rights Education Initiative. modules, activities, and lesson plans on teaching peacebuilding. 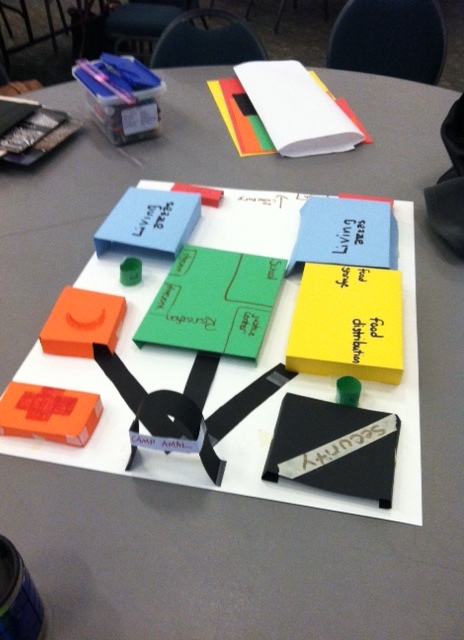 Highlights of the program included Cindy Epperson from St. Louis Community College leading the participants in an activity where they designed refugee displacement camps (see video below). David J. Smith engaged students in a peacebuilding exercise where they considering personal definitions of peace and conflict. On Friday evening, local Burundian drummers performed (see video below) and the college hosted a production of “I New Saw Another Butterfly” written by Celeste Raspanti.